Spend 5 days and 4 nights in empowered, expressive relationship with your body, music, nature and intimate community. 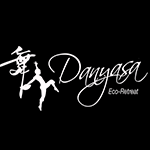 Relax into the beautiful jungle ocean oasis of Playa Dominical and the Danyasa Retreat, specifically designed to support your growth and learning. Discover how moving authentically with others can open your heart, free your mind and elevate your spirit to new highs you’ve only dreamed of. Liberate yourself within the limitless realm of Cocréa. Do you long for more connection and expression with your body? Do you value closeness and intimacy with others and desire more skills to create that in your life? Are community, nature and new experiences in new places things that bring you enrichment and vitality? Are you passionate about eating well, feeling good and sharing what brings you into your full, vibrant health with others? DANCE YOUR MEDICINE is all about reaching our peak vitality through practicing intentional movement and community, imbibing pristine nature and food, embracing our sensuality and learning how to harness it for creating good in the world. EMBODIMENT is the practice we invite you to cultivate; of your purpose, of your truth, of the unique medicine you bring and how to find that through moving your body with others. SHIFT YOUR PARADIGM into a full love embrace of what turns you on and lights you up. Discover how living in acceptance and curiosity of your body and preferences, and how honoring that in others gives way to a radiant, thriving life. JOIN THE MOVEMENT of conscious dance infusing the world with mindful connection and the pleasure of being alive. Adventure with Cocréa’s brilliant team of facilitators as they masterfully weave the themes of consent, emotional intelligence, radical self expression and holistic living through the mediums of movement, breath, music and touch.